Still, these "vague" symptoms that you are experiencing may be an early warning that one or more of your body's systems are altered. Ultimately, you could develop a serious illness. 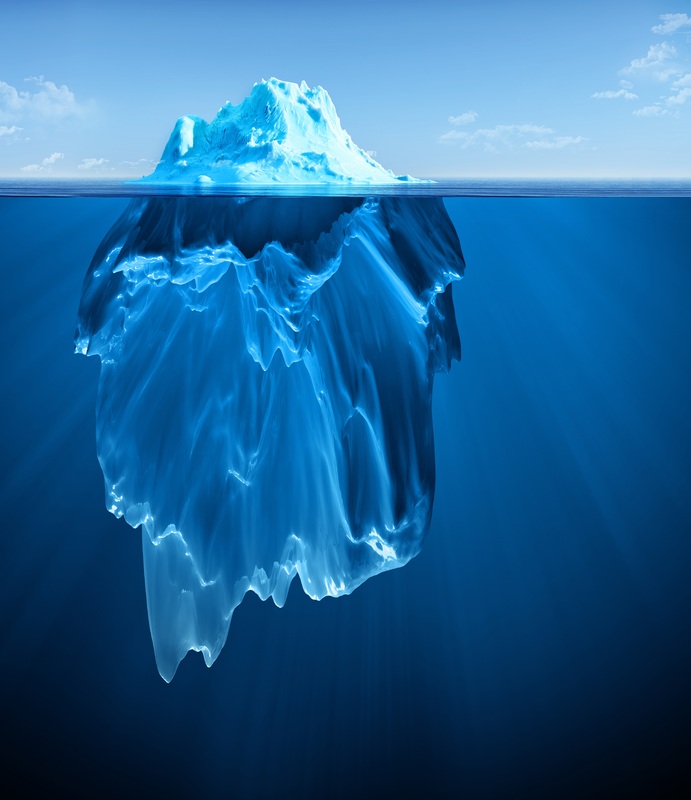 As the graphic above shows, a named disease such as diabetes, cancer, fibromyalgia, chronic fatigue syndrome, or IBS might be visible above the surface, but according to FM, the cause lies in the altered physiology below the surface. Almost always, the cause of the disease and its symptoms is an underlying dysfunction and/or an imbalance of bodily systems. If a care plan treats just the tip of the iceberg, it rarely leads to long-term relief and vibrancy. Identifying and treating the underlying root cause or causes, as functional Medicine does, has a much better chance to successfully resolve a patient's health challenge. Using scientific principles, an extensive history and advanced diagnostic testing, the root causes of health problems are identified and treated. With the appropriate lifestyle changes and nutritional supplementation, normal body function is restored. Resolving the symptoms that may result in diseases (such as cancer, heart disease, diabetes, degenerative diseases such as osteoporosis and rapid aging). The goal: the patient's lifelong optimal health.